Sleek, minimally designed, the SC-T5130 is of a comfortable size that fits into tight workspaces effortlessly and has one of the smallest footprints in its class. 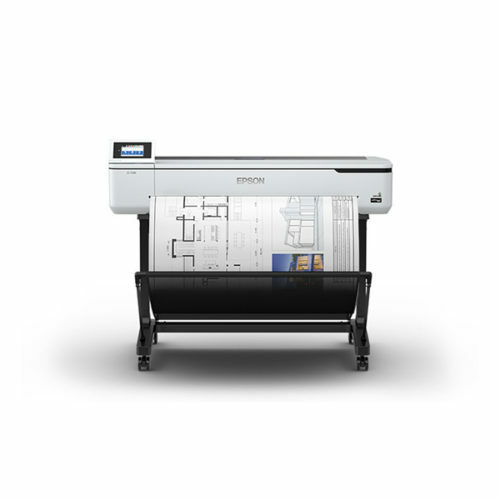 As the printers are built for a full front operation, they can be placed ideally in any corner of the office, without taking up too much space. As the SC-T5130 printer takes into account smaller-sized offices, it is developed to allow loading of a range of paper sizes. The Auto Switch Function enables a seamless switch between roll paper and cuts sheet paper, reducing the need for a second printer for additional A3 or A4 printing. Designed with the user in mind, the printer will print and cut printouts without dropping it from the printer until it is ready to be collected. Designed with the user in mind, the SC-T5130 printer’s smart design can cater to users of different heights to help make it comfortable for them to load the media as well as to operate the printers. The SC-T5130 is integrated with Wi-Fi and Wi-Fi Direct, making it convenient to print right from smart devices from anywhere in the office. The Wi-Fi Direct function acts as an access point, allowing devices to connect directly to the printer without a router. 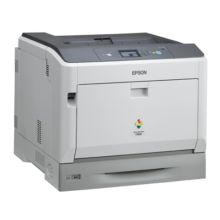 Additionally, the T-series printers come equipped to allow direct wireless printing from any Apple devices through Apple AirPrint, without the need for any additional drivers. A 4.3 inch touch panel on the SC-T5130 gives you the convenience of an easy setup and a PC-less operation that just makes things extra efficient. Save time and money when you preview your documents before printing, preventing accidental misprints that could otherwise lead to wastage. Scan and enlarge your printouts in just four easy steps without needing to connect to a computer. Using compatible Epson scanners*, you can seamlessly scan and print directly from the SC-T5130 printer. *Recommended scanners: WorkForce DS-530, DS-6500, DS-60000. The SC-T5130 comes equipped with the next-generation PrecisionCore printhead technology, enabling superior print speed, quality and reliability. PrecisionCore technology utilises piezo elements to mechanically eject the ink. This heatless technology prolongs printhead longevity, providing reliable long-term operation. The PrecisionCore technology, as well as Variable Size Dot Technology, allows the ink droplets to be controlled to the finesse of 3.5 picolitres. Print without interruptions with the advanced built-in Nozzle Verification Technology (NVT). This technology monitors nozzle health and adjusts print quality automatically without interruption, even during printing. Incorporating a unique anti-dust design, the SC-T5130 printer requires minimal cleaning and maintenance that are required for environments that are traditionally dusty, such as, construction sites. The PrecisionCore printhead technology enables remarkable print speeds that will print A1 printouts in 22 seconds* – the fastest in speed among all Epson T-series printers. *Print speed is based on the SC-T5430. With an improved formulation that works especially well with plain paper and special media such as tracing paper, the UltraChrome XD2 delivers accurate and sharp line printing that is suitable for vector images or luster data. The all-pigment ink achieves less bleed-through and is better at withstanding the harsh weather conditions compared to dye-inks. Featuring front access for all your operations, you can easily place the SC-T5130 printer up against a wall and in a corner, keeping your space free for other things. Printouts, ink changes, and paper replacements can all be easily accessed from the front, to enable greater convenience.